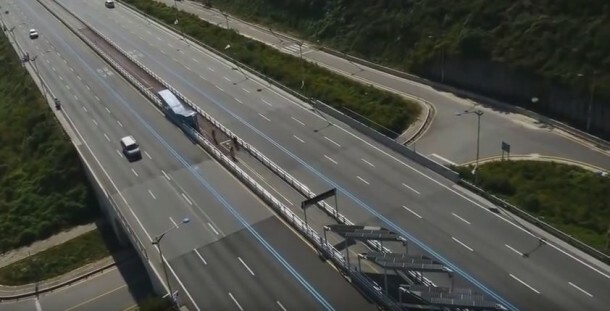 Back in March an intriguing video was uploaded on YouTube that was shot by a drone flying above the Sejong to Daejeon road. The road is a few hours’ drive out of Seoul. 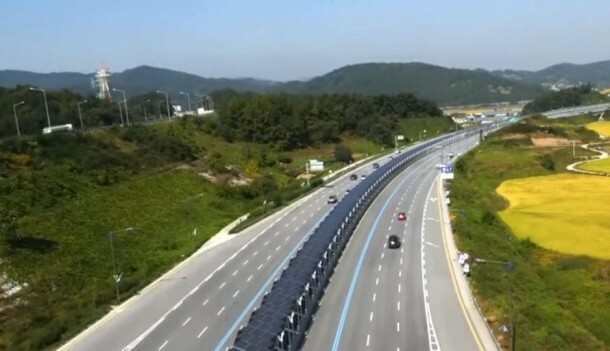 The highway features a bike lane that runs between the two carriageways and is completely shaded along its length by solar panels. It has a length of 32 km. What an amazing way to make use of an unused space for such a positive purpose. The cyclist that will be using the space shall be separated from the regular traffic on the highway via guardrail while the solar panels shall provide cover and shade from the weather. The project is part of a much bigger project that aims at building a bike path network measuring in at a length of more than 350km and shall circumvent the city of Sejong. This project highlights that buses and cars need not dominate city transportation and that there are a number of unutilized spaces right beneath our noses that can be utilized in a constructive manner. For instance, in this case, clean energy is being generated and carbon emissions are being reduced and thus helping with saving the planet from global warming. However, there are a few kinks that need to be straightened out. The cyclists will be exposed to the pollution from the highway with diesel particulates being present in them. The drivers would be disconnected from the immediate environment and shall be moved into this network for cyclists. This seems like the primary issue and why not many cyclists would take this route. However, we are certain that all these issues can be tackled timely and in a constructive manner thus helping the design to catch on and become a success. So the solar panels will concentrate the rain into sheets every 6 feet or so……..gawd that’s awful !